Some people believe that Valentine’s Day is a scam, others believe it really is the season of love. But where does it really come from? According to History.com, when marriage was outlawed in ancient Rome because of Emperor Claudius II, who believed that single men made better soldiers, Saint Valentine began to perform marriages for young couples in secret. For this, Claudius II ordered he be put to death. He was killed on or around February 14th in approximately 270 AD. 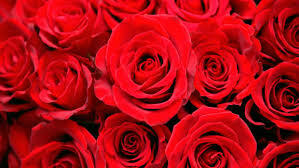 In addition to the United States, Valentine’s Day is celebrated in Canada, Mexico, the United Kingdom, France, and Australia. Valentines began to be gifted around the 1800s, when Esther Howland, The Mother of The Valentine, began mass-producing cards for people to gift to their friends and partners. Today, Valentine’s Day gifts are more than just cards. It can be tricky to decide what to get for your significant other; how much do you spend and what do you buy? According to NRF, the National Retail Foundation, people spend an average of $166 dollars on Valentine’s Day, 58% of that is spent on their significant others, and the rest on family and friends. Some think the holiday is useless. LHS senior Alyssa Belko thinks that it’s not worth spending money on. “Yeah, it’s fun getting cute cards for your friends, but you shouldn’t be spending hundreds of dollars on a random holiday.” However, some people find it to be an important part of a relationship. Overall, Valentine’s Day has a lot of history. It dates back to ancient Rome and is celebrated in many countries.